« Day 116 in Beijing: I AM A GIANT! Or maybe i’m just a gint. Day 117 in Beijing: Numb and Spicy. 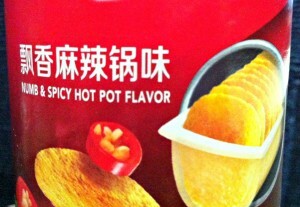 Numb and Spicy Hot Pot Flavor. I’m not quite sure how those two tastes go together. Somehow, chip makers in China have figured it out. I’d love to see the focus group that decided Numb and Spicy actually can be combined in some type of food substance. And that is all I can call these chips: Some Type of Food Substance. 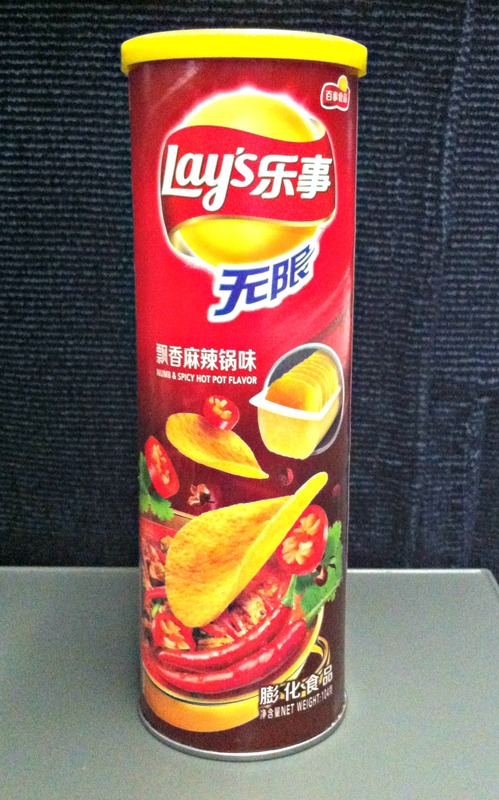 It is actually quite delicious and it is spicy. However, I was unable to detect the oh so subtle taste of numbness on my tongue. Then again, if the taste was truly numb, then I shouldn’t have been able to taste it and it all makes sense. 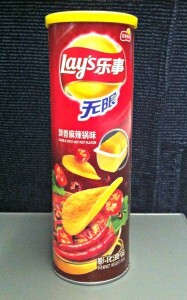 This is actually a genius bit of marketing by the Chinese division of Lays’ Potato Chips. Think about this: If you can’t taste it because it makes your taste buds numb, then it does EXACTLY what it is advertised to do! You will eat constantly, and never be satiated, because you only have some food type substance digesting in your stomach that doesn’t actually taste like anything. Honestly, I can see this this new taste of numb really going places. The only problem is that if this continues as a marketing trend I won’t be able to enjoy it. My taste buds will become so accustomed to numbness that any flavor will ruin the magical experience of nothing.